The residence Cime des Arcs 4* is composed of 57 apartments with balconies. 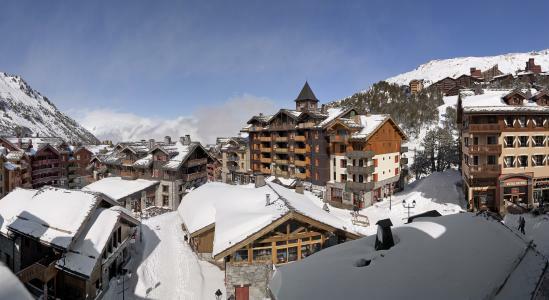 It is situated at the foot of the ski slopes in the heart of Arcs 2000 ski resort. 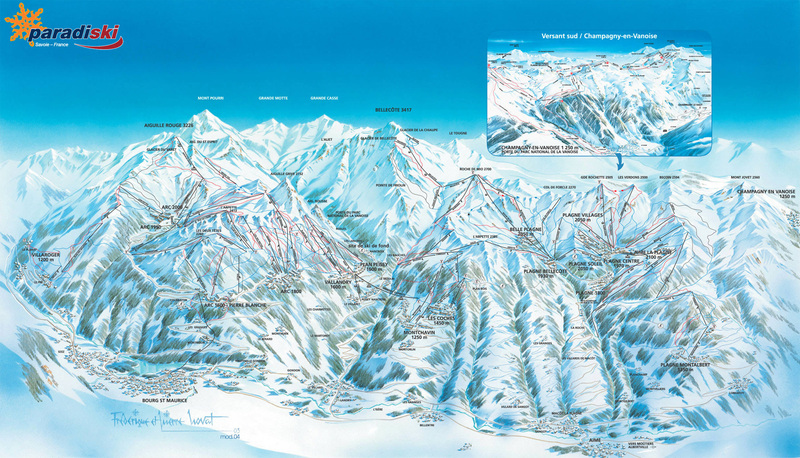 You will profit from an incredible view on the entire ski area and the surrounding mountains. Take advantage of the wellness area with swimming pool, sauna, hammam, fitness room. 2=1 SPECIAL SUMMER OFFER, ONLY ON 2 ROOM 4 PEOPLE, 2 ROOM CABINE 6 PEOPLE, 3 ROOM 6 PEOPLE, 4 ROOM DUPLEX 6-8 PEOPLE AND 4 ROOM CABINE 10 PEOPLE - valid until 31/05. 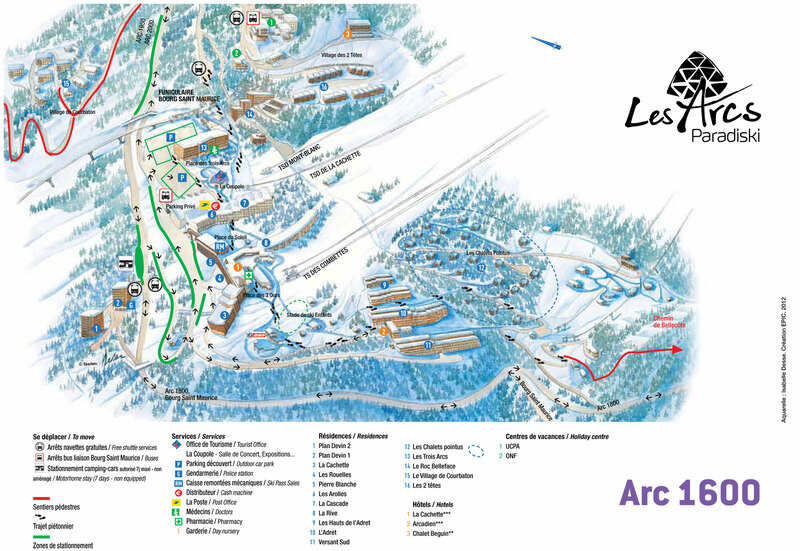 The residence Les Arcs, Alps is situated in a quiet district, 5 minutes from the centre of the town and 600m from the funicular (direction Les Arcs 1600 in less than 10mn). The residence comprises of several buildings forming a U shape with a private swimming pool in the middle (open from 15th June to 15th September). Mutual ski lockers are available as well as bike lockers in the summer. The residence Iseran G is situated in Arc 1800, in the village of Chantel, Les Arcs, Alps at the foot of the pistes and a few minutes from the centre, the ski school and the shops (free shuttle). This residence comprises of 46 luxury apartments and offers a magnificent panoramic view over the mountains and the valley. Also available is an indoor heated swimming pool. Arc 1950 Le village is a pedestrian village, unique in France, and situated in the heart of the French Alps offering the perfect setting for a memorable holiday! The resort is traditional and true to the Savoie region, the 8 residences in Les Arcs, Alps, France were built in a mountain style with wood, stone and lauze, also with bright colours inside and outside (facades) of the apartments. Each accommodation was decorated singly with wood which remains the main material of this French region and gives a feeling of warmth. This quiet pedestrian resort of Les Arcs, Alps, France offers streets and areas which are a true representation of the peacefulness of the mountain. The residence has an underground car park and walking with skis on or simply with shoes is possible. After a busy day skiing a wellbeing room with free access to the swimming pool, jacuzzi, Turkish bath and fitness room is available. 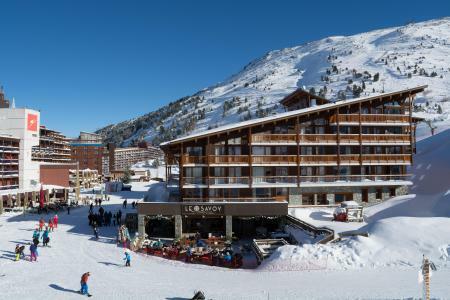 In the heart of the village of Villards, the residence Nova, Les Arcs, Alps, France is situated in a quiet environment, at the foot of the pistes (between 50 and 150m) and close to the shops. This residence in Les Arcs, Alps, France has a lift. The residence Cascade is situated in the resort of Arc 1600, Alps, France, with proximity to the the Place du Soleil. 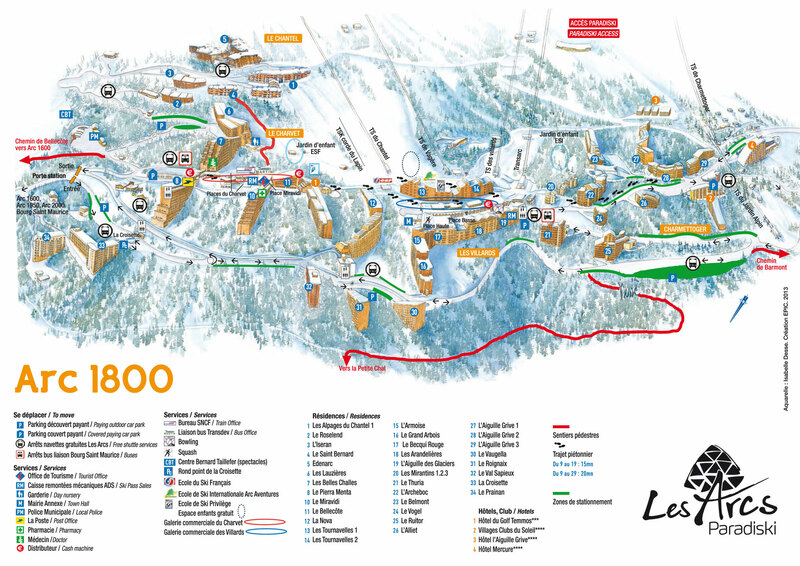 It is 50m from the pistes and return with skis on is possible depending on snow coverage. 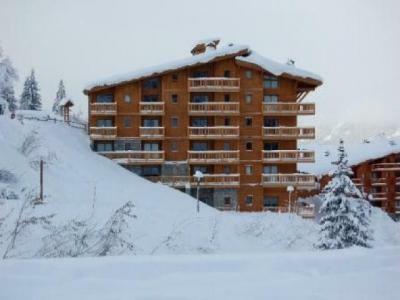 The residence in Les Arcs, Alps, France has direct access to the shopping centre. 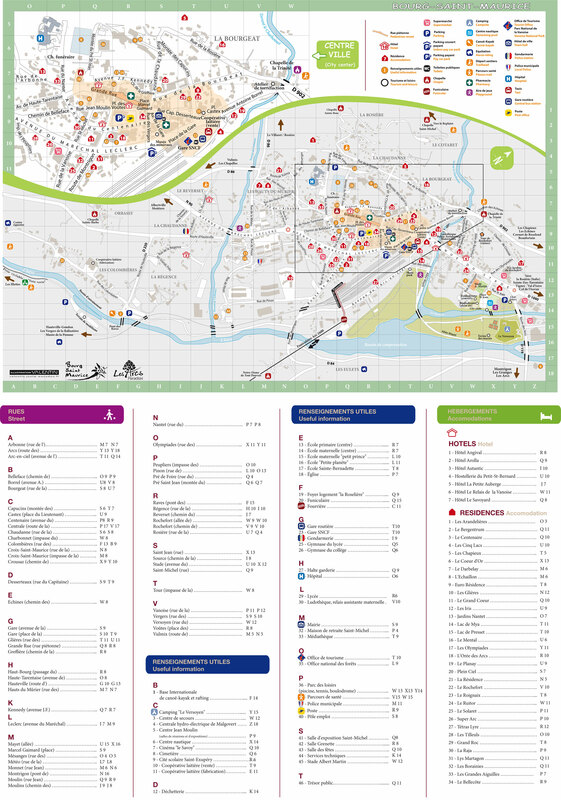 The cable car and the shuttles to the Arc 1800 are less than 5 minutes walk from the accommodation. The shuttles runs every 20 minutes in the winter. Additionally, a public car park is available close by. 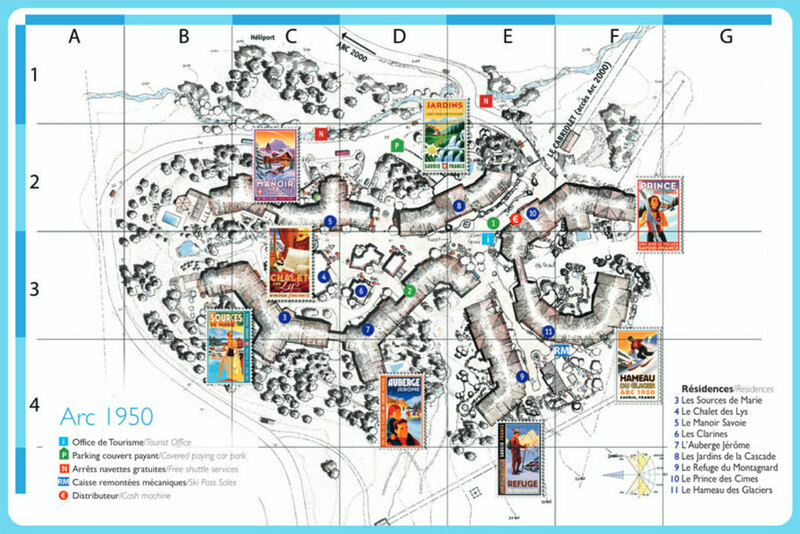 The Residence St Bernard is in Arc 1800, in the village of Chantel, which is in the upper part of the resort. The ski slopes are right next to the residence. The resort centre with its shops, ski school and other amenities is just a few minutes away via a free shuttle service. 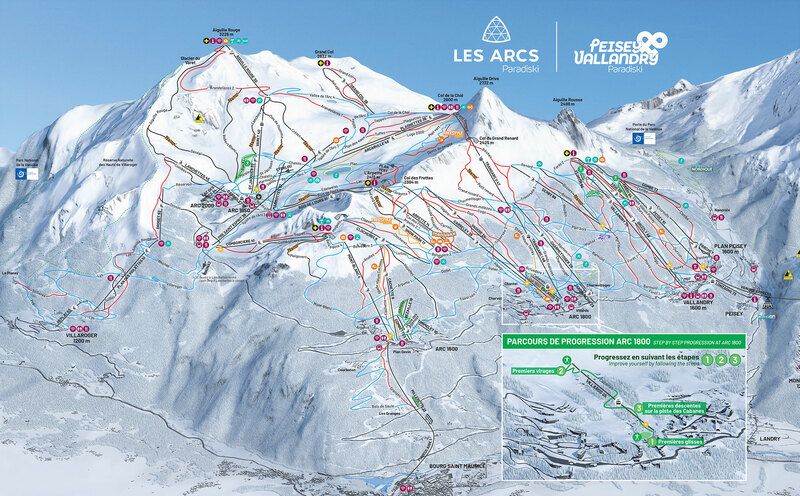 Les Arcs is connected to the La Plagne ski area via the Paradiski link. 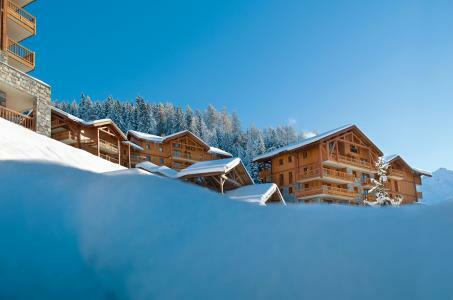 The Residence La Nova is situated in the heart of the ski resort of Les Arcs 1800, in the Villards corner. 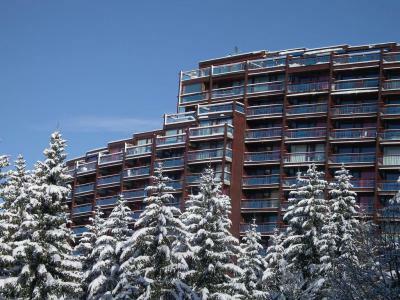 Shops, Ski School and Ski slopes are close to the residence. You can reach the residence by ski. In border of the forest, L'Oree des Cîmes****, Peisey-Vallandry, Alps, France offers you a magical view of the valley and the snowy mountain tops. The residence is situated 5 mn walking distance from the shops, at the foot of the slopes and 30m from the Grizzly ski lift. The spacious and comfortable apartments, in Peisey-Vallandry, Alps, France are well equipped with unusual facilities such as panoramic lounges with fireplace, big indoor swimming pool, outdoor jacuzzi outside, beauty salon and spa bath therapy... The perfect location! 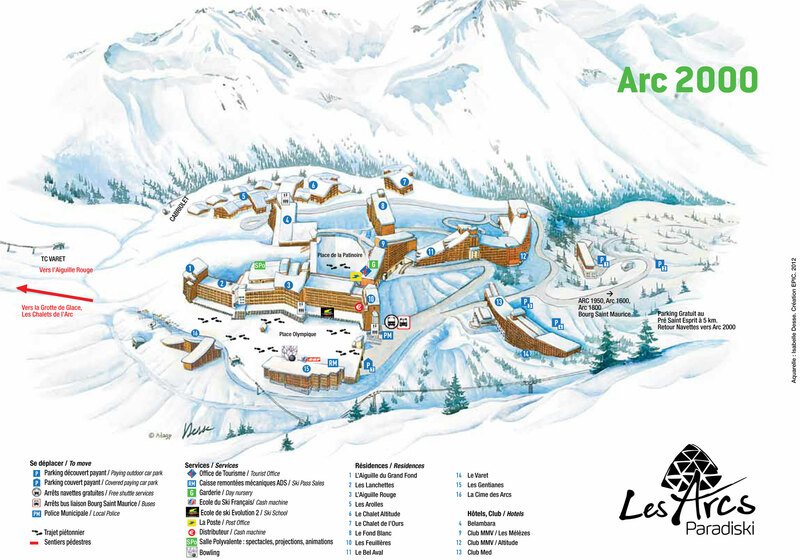 The Residence Ardret is located in les Arcs 1600, just 150 m from the shops and 50 m from the ski slopes. The five storey building (no lift) is south facing with a fantastic view of the valley and the surrounding mountains.